Founded by Matt Clark, M.Ed. Nonprofit Leadership, Clark Nonprofit Consulting is a consulting service company providing nonprofit organizations and churches with strategic planning, technology selection and implementation, board development, operations, compliance, marketing, and fundraising consultation and contract services. Matt has extensive experience operating and growing nonprofit organizations as a former nonprofit executive, staff member, and board member. Matt has also worked with emerging nonprofit technology companies gaining an extensive knowledge of the software available as well as how to integrate it into organizational operations. Want to learn more or see how Clark Nonprofit Consulting can help you and your organization? Let’s chat. Matt has a passion for helping small to mid-sized nonprofits grow and thrive. Having worked with organizations in a variety of capacities at the staff, executive, and board levels Matt takes his skills and knowledge to his clients. 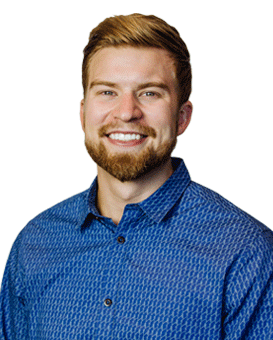 Matt works hard with organization to help identify needs and implement tailored best practices and innovative approaches. Matt loves to look at the 20,000ft view and cast long term goals and visions and then rolling up his sleeves to develop the plans and practices to achieve them.